This small village near Fruges has an equestrian centre and pony club. There are 18 ponies and horses. (Tel: 03 21 47 97 82). This is the equestrian centre of the Seven Valleys. They have 3 acres of paddock for teaching and pratising. (Tel: 03 21 03 51 04). Here you can hire a horse and carriage. They have 12 horses. (Tel: 03 21 81 31 30). Beach horse riding is available to experienced riders only. 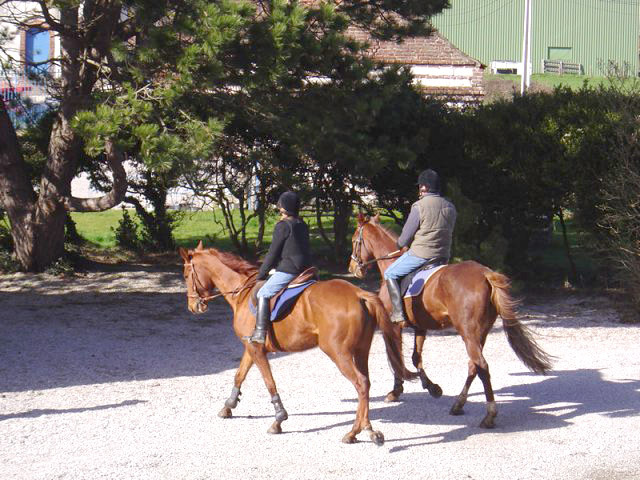 Centre Equestre, Avenue de la Dune aux Loups (Tel: 03 21 05 15 25).